Amaryllis Hotel is situated only 150 m from Perissa beach which is covered by black volcanic sand. You can do plenty of water sports there. 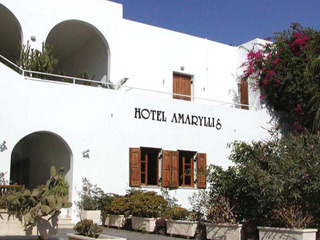 Constructed and organised with special care, Amaryllis Hotel offers its guests a comfortable stay.